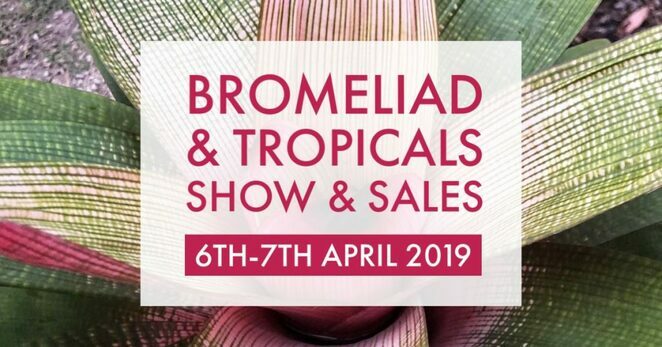 Come spend the weekend of 6th and 7th April exploring bromeliads and tropical plants at the Bromeliad & Tropicals Show & Sales. Presented by the Bromeliad Society of Queensland (BSQ) at Genesis Christian College, this popular two-day family-friendly event will feature thousands of plants for sale and free advice from experienced growers! From bromeliads, tropicals and indoor plants to orchids, hoyas, begonias, succulents and many more, there will be something to suit your garden and home. Growers and volunteers will be on hand to offer handy tips and tricks to help you make the most of your purchases and there will also be books available for purchase. You can also admire the plant displays and competition plants, which will be at their colourful best. The Society is proud to support local schools and proceeds from the Monster Raffle will be donated to the Pine Rivers Special School's horticultural program. Tickets can be purchased at the show. Plant-minding and refreshments will also be available on both days. Opening times are Saturday 8am – 4pm and Sunday 9am – 1pm. Admission is $4 and gives you entry into the Lucky Door Prize - $100 worth of plants! Free entry for BSQ members. Click here to become a BSQ member. Follow the Facebook Event for all the latest. We hope to see you there!